7.3 Mission Monarch Needs You! Bluefin (documentary), 10:15PM, projected on the walls of the Confederation Centre of the Arts (sandstone wall facing Victoria Row), Free, consider bringing a chair. Excellent, gorgeous, thought-provoking. Farm Centre Farmers' Market 4-7PM, and micro-workshop, 6-6:30PM: "This week in the series of Thursday night micro-workshops during the Farm Centre Farmers' Market is, 'Food Forest Gardens.' Forest gardens are probably the world's oldest form of land use and most resilient ecosystem. It is generally a low-maintenance food production and agroforestry system, incorporating fruit and nut trees, shrubs, herbs, vines and perennial vegetables. Forest gardens have been shown to be a significant source of income and food security for local populations. The Legacy Garden orchard is designed to mimic many food forest garden concepts." The federal government recognizes that there are times when a project ordinarily handled by a province should receive a federal environmental assessment. We believe that Northern Pulp’s proposal to pipe treated effluent into the prime fishing grounds of the Northumberland Strait is one of these times. Public concern about Northern Pulp’s proposal is strong and growing. This past spring, our working group, representing over 3,000 fishermen from P.E.I., New Brunswick and Nova Scotia and Pictou Landing First Nation, formally requested that the federal government conduct an environment assessment of this project. Our request was made to the Canadian Environmental Assessment Agency, an arm’s-length agency of government, under Section 14 of the Canadian Environmental Assessment Act (CEAA) 2012. We are not the only ones to make a request to have the federal government take on assessment of this project. CEAA has received close to 5,000 requests from individuals, businesses, organizations, municipal councils, MPs, MLAs and the premier of P.E.I. asking the feds to step up. Northern Pulp’s proposed project has the potential to affect fisheries in P.E.I. and New Brunswick as well as Nova Scotia. It could affect First Nations’ commercial and food fisheries. The proposed pipe would discharge into federal waters. It has the potential to affect species at risk and Canada’s brand. The Nova Scotia government is a party to designing the treatment facility, and contributed $300,000 to fund the design. As a party to the design, it is difficult for the provincial government to be, or be perceived as, an unbiased judge of the proposal. Nova Scotia is bound by an indemnity agreement which makes the province liable to pay for any losses Northern Pulp may suffer from not being able to continue to use Boat Harbour until 2030. This creates a strong incentive for the provincial government to approve NP’s proposed project, regardless of environmental impact. The Nova Scotia government decided to conduct a fast-tracked Class 1 environmental assessment, with only 30 days for public input once the project is registered. A federal environmental assessment would allow more time for public examination and input from all stakeholders, including Indigenous communities. Nova Scotia government officials have refused to meet with fishermen’s organizations despite repeated requests, while working closely with Northern Pulp. The former Nova Scotia minister of environment (replaced in a recent cabinet shuffle) appeared to have dismissed possible risks, before conducting an environmental assessment and without considering independent scientific information presented by our organizations or other members of the public. The minister downplayed the potential impact of the proposed project, saying that effluent has been going into the Northumberland Strait for 50 years. Documents from the mill’s own consultants show this is misleading. At this point, Northern Pulp’s proposal has run into a snag. Less than two weeks ago, the company announced it must find a new route for the pipe. It has not announced a new plan, and has delayed registering the project. There are more questions than ever about potential impacts. Meanwhile, the clock is ticking on the deadline to close Boat Harbour by Jan. 30, 2020. The fisheries of the Southern Gulf, including the Northumberland Strait, account for 30 per cent of Canada’s fishery revenue, according to DFO. This federal government says it stands for ocean protection, decisions based on science, and better relations with First Nations people. Agreeing to conduct a federal environmental assessment of a proposal to discharge 70 million to 90 million litres of treated pulp effluent daily into one of the most productive fishing grounds in the country seems like a very small step in this direction. There is still opportunity for CEAA and the federal government to make that decision. Fifty years of bad decisions relating to pulp effluent is more than enough. Ronnie Heighton of River John is president, Northumberland Fishermen’s Association. The Trudeau government’s signature environmental policy is in a rut, its mantra of building pipelines in exchange for taxing carbon having hit two major snags. First, even though Ottawa now owns it, the Trans Mountain pipeline expansion faces an uphill battle against an entrenched opposition in British Columbia. Second, Ontario just elected a premier who vows to fight the federal government over its carbon-pricing regime, adding a powerful voice to a chorus of provincial politicians of the same ilk. Basically, the Trudeau government has managed to alienate environmentalists with its pipeline advocacy and anger conservative voters with its carbon-tax plan. At this rate, Canada will fall short of its Paris Agreement emissions target and might still not be able to get Alberta crude to tidewater. Fortunately for a government in need of a green win, the Liberals are staring down another deadline that they are in a better position to meet, and that faces no organized opposition. That is, Canada’s international commitment to set aside 17 per cent of our land and freshwater for conservation by 2020. Stephen Harper’s Conservatives agreed to the target in 2010, along with more than 150 countries, but did little to meet it. The Liberals haven’t been much better. In the past decade, Canada’s proportion of protected land has barely inched up, to 10.5 per cent from 9 per cent. That puts us lower than many other developed countries, including the United States, where about 13 per cent of the country is protected from development. Germany is at almost 40 per cent. The Liberals seem to be taking the target seriously, however. In this year’s budget, they set aside $1.3-billion over five years for conservation, and Environment Minister Catherine McKenna has been meeting with the provinces about getting to 17 per cent. Increasing our stock of protected areas would have more than just symbolic value. It would bring tangible benefits, too, such as protecting populations of pollinating insects that are key to the agricultural sector, and preserving boreal forests that can serve as flood and drought protections at home, and as carbon sinks for the world. That’s on top of the tourism dollars and enjoyment that public parks afford. Conserving land doesn’t have to mean walling it off from people. It can mean more lakes and rivers for future generations to paddle on, more forests to hike in and more meadows for picnicking. Conveniently, governments can make this happen with relative ease. About 90 per cent of Canada’s land is in public hands, managed by the federal government, Indigenous groups and, above all, the provinces and territories. Many provinces already have huge unfulfilled conservation promises, such as the 225,000 square kilometres of northern boreal forest Ontario vowed to protect in 2008, just 13,000 of which have been set aside so far. Sure, making an additional 6.5 per cent of the country off-limits to industrial and extractive development in two years will take some doing. There’s an up-front cost – buying out logging and mineral rights, paying for land-use planning for hundreds of thousands of square kilometres – and the continuing cost to the stewardship of these areas. Choosing the right land also takes time and money. It would be cheating to draw a line around some large, remote part of Canada and say “mission accomplished.” The idea is to preserve biodiversity; governments need to set aside a wide range of land and water, encompassing, say, the habitats of polar bears and indigo buntings alike. Still, challenges notwithstanding, this ought to be a no-brainer. While fighting climate change is hard and divisive, requiring serious trade-offs, this is something we can do for the planet at relatively little cost and with broad public support – ecological groups find the issue polls extremely well. "Humans merely share the earth. We can protect the land, not own it." Farm & Food Care PEI would like to invite you to our first annual Breakfast on the Farm event....Breakfast on the Farm provides a unique opportunity for farmers and non-farming islanders to have a conversation about food and farming. It provides a showcase for agriculture and gives non-farmers the opportunity to meet real farmers and members of the agri-food industry. Guests attending this event will be treated to a free PEI sourced Breakfast and will have a chance to tour a PEI family dairy farm while having their questions answered by the people that help produce the food we eat. We would love to have you out to support this event and the PEI food industry! "Architects use the term “adaptive reuse” to describe the repurposing of an old building for something other than it was built for, with a focus on sustainable design, reducing urban sprawl and preserving heritage buildings." Sounds like a way to reconsider the old Prince Edward Home. "Even though Julia Sauve has slowed down she has no plans of slowing down. 'There’s something you’re put on earth to do,' she said. 'That might sound woo-woo, but we’re put here for a purpose. Where I’m coming from now is, I want to learn more and help people more.' "
"A beautiful day begins with a beautiful mindset. When you wake up, take a second to think about what a privilege it is to simply be alive and healthy. The moment you start acting like life is a blessing... it will start to feel like one. Time spent appreciating is time worth living." 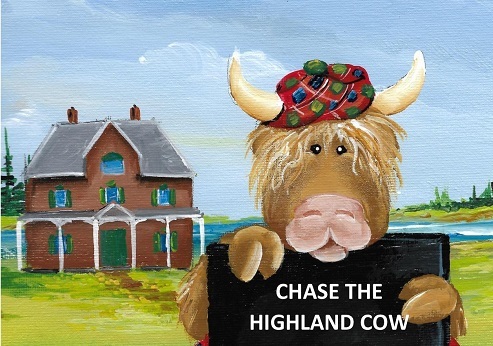 Bonshaw Ceilidh, 7-9PM, Bonshaw Hall, corner of TCH and Green Road. Admission by donation with proceeds to PEI G'ma Circle of the Stephen Lewis Foundation. Performers include: Meaghan Wilkie and Dennis MacKenzie, dancers from Havenwood Dance Studio, The Bruce Family Fiddlers, plus local regulars Herb MacDonald, Phil Pineau, Andrea Corder, and/or Tony the Troubador. More info: (902) 675-4093. Islanders were asked to give input on a provincial housing strategy that was in the works earlier this year. It has come out and is available on-line with the full press release, here. • 100 new private nursing home beds to further improve access to long- term care for Island seniors --50 available October 2018; 50 by June 2019. • implement the $3 million Community Housing Fund announced in government’s 2018/19 budget through engagement and collaboration with community partners to deliver innovative housing solutions – beginning fall 2018. • create a down payment assistance program for eligible modest income Islanders to get an interest free, repayable loan of up to five percent of the purchase price of a home for a down payment – fall 2018. • establish a Housing Hub led by a Special Advisor for Housing and Infrastructure and consisting of members from government, community organizations and municipalities to implement the housing action plan, report on progress, monitor market trends, and provide support to housing partners- fall 2018. Not specified in the press release, but reports are that Charlottetown Mayor Clifford Lee has been appointed as the Special Advisor to lead the Housing Hub. Some would not think that the mayor has shown much leadership on housing in the decade he has lead the City. I read that Bill Campbell is looking to build 100 affordable housing units in one of the city’s industrial park areas. Now I have known Bill for a long time, since our firm working together with project developer Karen Lips designed the Kings Square Housing Co-op almost 30 years ago. Bill is dedicated to providing affordable housing, no question, but the location in the industrial park seems like a terrible idea, as does the idea of creating a village of 100 people all needing help one way or another. People with low income and people needing help need to live in the centre of things where they can obtain needed services within walking distance. They also need the interaction and support of other citizens instead of being delegated to industrial quarters of town. Even if public transportation is provided, Sherwood Road is still a desolate place with no basic needs provided. No grocery store, no doctor or dentist, no playground or school, no playmates for the kids nor parks for families. Despite what people think, there is no shortage of space in the city. There is of course the old Prince Edward Home smack in the middle of town, an ideal place to renovate and add for a modern housing complex. A little further out on Allen Street is the Irving propane facility where propane leaked a few years ago. It was only luck that the propane was not ignited by a spark and this facility clearly needs to be moved for the safety of nearby residents. What a great housing location, near both to the city downtown, as well as to shopping and recreational facilities and parkland. The Irvings should move to the industrial park, not the people. What about a simple swap of land? We actually already have an agency that could take decisive action in development and housing. It is called CADC and has lately been taken over by the province without any indication of what they will do. Clearly affordable housing should be one of the CADC mandates and would be a very appropriate project to be backed by the province. It is also a worrisome concept to concentrate 100 needy people in one single location. Experience has shown again and again that mixed populations do better than a segregated community composed solely of needy people. The beauty of the original Housing Co-op program available 30-40 years ago was precisely that it mixed people from different back grounds. Yes, I agree with Bill that housing has to be very affordable, but it also has to be very livable, so that all of society would want to live there, otherwise we will just be spending public funds to create a ghetto. Governance of the community is also an important issue. Habitat for Humanity have had great success in providing home ownership to low-income families, but so far their efforts have concentrated on single family homes that are not suited to a dense downtown. There is no reason why a housing development could not be based on a condominium ownership concept, with even low-income residents somehow being able to afford ownership. CADC, or in effect the province who is now the 100 per cent owner, please step up to the plate and be the lead developer for all city citizens. Presentation and Walk: "Tracking the Mammals of P.E.I. ", 10-11:30AM, Macphail Woods. Free and all welcome. Letters to the Editor -- one letter sent, two versions printed. Boyd Allen (Citizens' Alliance vice-chairperson) submitted a letter to the editor earlier this month. The Guardian printed it on Tuesday of last week, and it was in Wednesday's Graphic. The Graphic (right column, sorry for poor formatting,and you may need to scroll your screen edges to see the both columns) printed the actual submitted letter. The Guardian edited the letter for length, but of course what was edited was at their discretion. The Graphic has the letter up on the day it was printed, but it slipped through the understaffed Guardian webpage, and was posted Friday. Deleted lines are marked like this,with any mistakes my own. On July 6, Premier Wade MacLauchlan wrote a letter to federal Minister of Environment and Climate Change Catherine McKenna and Premier Stephen McNeill of Nova Scotia, regarding Northern Pulp's proposed effluent treatment facility in Pictou County, N.S. In this he requested "that a panel of experts and relevant stakeholders be established to review the environmental impacts of the project." Is this a signal that the premier has become an environmentalist? I don't think so. Forty nautical miles north and east across the strait, there is a brand new $13,000,000 facility owned by AquaBounty. An environmental impact assessment on the original project in 2016 worked on the assumption the facility would not produce genetically modified salmon. On April 12, 2017 this assessment was amended to address AquaBounty's change of use to include producing 250 metric tonnes annually of their GM salmon. Public consultation came in the form of a meet and greet in Fortune on April 26. A number of concerns were brought forward by many individuals and environmental groups, including the Atlantic Salmon Federation, P.E.I. Watershed Alliance and the Council of Canadians. Still, the amended project was approved June 19, 2017, well after construction had already begun at the new site. On June 26 of this year — a week before the premier sent his letter to Minister McKenna, his cabinet parlayed a low-interest loan to AquaBounty through the P.E.I. Century 2000 Fund Inc. of $2,700,000 for purchase and improvement of capital assets. Premier MacLauchlan made valid suggestions for the Northern Pulp proposal. He suggested a "fully collaborative approach." Perhaps he should listen to his own advice when it comes to the protection of P.E.I. 's environment. "With the extreme heat, look after yourself, drink lots of water, and hey make sure you check in on your neighbours, especially those who are seniors. Takes 5 minutes, and it is the least we can do. Remember we belong to one race brothers and sisters, the human race. Peace and Love from Kings County." On the 6th of July Premier MacLauchlan wrote a letter to Federal Minister of Environment and Climate Change, Catherine McKenna and Premier Stephen McNeill of Nova Scotia, regarding Northern Pulp’s proposed effluent treatment facility in Pictou County. Is this a signal that the premier has become an environmentalist? Should his governments’ corporate bedfellows be concerned? On April 12, 2017 this EIA was amended to address AquaBounty’s change of use to include producing 250 metric tonnes annually of their GM salmon. Public consultation came in the form of a meet-and-greet in Fortune on April 26th. After that, the public was given originally 10 days to respond. Due to public pressure the comment period was extended to 20 days. A number of concerns were brought forward by many individuals and environmental groups, including the Salmon Federation, Watershed Alliance, Council of Canadians. These concerns were duly noted and showed up in a colourful graph on the website. This amended project was approved on June, 19th 2017, well after construction had already begun at the new site. On June 26th of this year - a week before the premier sent his letter to Minister McKenna, his cabinet parlayed a low-interest loan to AquaBounty through the PEI Century 2000 Fund Inc. of $2,700,000 for purchase and improvement of capital assets. The primary shareholder in AquaBounty is American billionaire Randall J. Kirk. The company is based in Maynard, Mass. In the last calendar year the share price for AquaBounty dropped by 60 per cent to $3.07 US. Why risk your own capital when it’s business as usual on the Mighty Island? Premier MacLauchlan made valid suggestions for the Northern Pulp proposal. He suggested a “fully collaborative approach.” Perhaps he should listen to his own advice when it comes to the protection of PEI’s environment. Pride Parade Map, with green flag the start, and the red flag the end at Rochford Square Park. Cardigan Farmers' Market, 10AM-2PM, Old train station. Nice day to plan for the weekend. Presentation and Walk: "Tracking the Mammals of P.E.I. ", 10-11:30AM, Macphail Woods. "Come on out and learn about the native and introduced mammals found on PEI, as well as a brief look at some of the mammals we’ve lost. After a brief slideshow, we’ll head off to the woods looking at a variety of animal tracks and signs. A great activity for the whole family!" Pride Parade, 1PM, downtown Charlottetown. Cooking Workshop: Cast Iron, BBQ and Grilling, 2PM, Farm Centre, $20 cost. 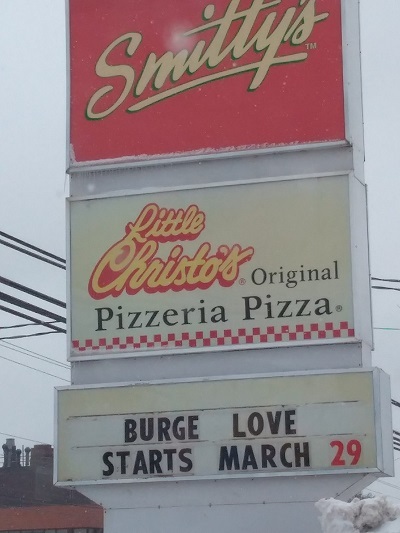 This will be repeated in Summerside late next month. Today is the birthday of Marie Burge, who does so much for the Island in areas of social justice, democratic renewal, and environmental issues. Happy Birthday, Marie! Awesome Astronomy, 10:3011:30AM, Confederation Centre Public Library, free. While meant for elementary and middle school aged children, this program sounds like fun for all ages to discuss planet-viewing, with Megan Glover of UPEI. There are five planets visible in the night sky, and other celestial events described in this "Sky and Telescope" podcast, if you are feeling a bit old for the library talk. Glenn Roberts' column for The Guardian is edited and reprinted, below. Farm Centre Farmers Market 4-7PM, and mini-workshop, 6-6:30PM, Farm Centre 420 University Avenue. A relaxed market full of wonderful local summer vegetables. This is an alternative or addition to the hectic Saturday summer market, with the bonus short workshop from 6-6:30PM. 'Grow Your Own Fertilizer.' "This presentation will show you how to create a crop rotation and explain what plants can be used to add fertility to your crops." "...join us as we bring Senator Diane Griffin (former Town of Stratford Councillor) and Mayor David Dunphy together for you to learn from and ask questions about the municipal elections which take place later this year. If you are, or have ever, considered running for councillor or mayor, this is your opportunity to have your questions answered in a relaxed format. Please share. This event is free and open to anyone interested in learning more. Can't attend? Submit your questions in advance by email to info@townofstratford.ca and we will ask as many as we can throughout the event. We will also be streaming live on Facebook." Published on Wednesday, July 25th, 2018. It was the retrial of Brookfield Gardens earlier this month on charges related to a fish kill in the North River four years ago that got me thinking about how the justice system deals with environmental infractions. Understandably, we want those responsible for fish kills or other environmental violations held accountable, but these trials create enormous bitterness and cynicism amongst farmers, the very people we want using good sense and judgment in their day to day use of pesticides. Is there a better way? Restorative justice is a legal concept that’s gaining support for dealing with certain kinds of crimes, where there has been loss of, or harm to, property not persons. It’s based on the idea that the person found culpable acknowledges and takes responsibility for the harm done in a way that satisfies the people who were harmed, and because of that understanding doesn’t re-offend. I know it sounds a little soft-headed, but let’s think about how these cases are handled now. Investigations of fish kills aren’t easy. Soil samples, and water runoff are collected, dead fish are analyzed. Finding a “smoking gun” only happens occasionally. Instead, spraying records are collected from all farmers in the watershed. In some cases charges stem from this paperwork investigation that have no actual link to the fish kill. Alex Docherty, a high profile potato grower has never been shy about arguing he’s the victim of a witch hunt related to a fish kill in the Clyde River two years ago. There’s been no evidence presented so far that he had anything to do directly with the fish kill, but he was charged with administrative offences under the Pesticide Act related to spraying a neighbour’s field. To Docherty, it feels like there was political pressure to lay some charges related to this fish kill, and he was a good catch. Emails Docherty has collected through an access to information request show a variety of government officials, including in the premier’s office, were informed once the charges were laid. It’s the cynicism and lack of respect Docherty and many other farmers have developed for the enforcement system that worry me the most. Why? It’s the farmers themselves responsible for filling out the paperwork that is so important to these investigations: wind speed, air temperature and so on. I can’t help but think that if I had had to fill out paperwork every night about how fast I was driving commuting to Charlottetown I’d never admit to more than 10 clicks over the speed limit and probably not even that, even though I always drove much faster. Are farmers any different? Then, when farmers do end up in court, smart and very expensive defence lawyers twist and turn words to try to get their clients off: What’s the definition of a waterway? What does cultivate mean? This just feels so unproductive. Let’s think about Brookfield Gardens again. Anybody who knows them recognizes that the owners, the Dykermans, are good people, producing a variety of important vegetable crops, and transitioning over the last decade to an organic operation. They acknowledge that they made a bad mistake in the summer of 2014, producing a conventional carrot crop on sloping land. Some of the charges they faced were because they were trying to add forage to expand the buffer zone to prevent run-off. Chief Provincial Court Judge Nancy Orr, who’s shown common sense in cases like this, found Brookfield not guilty in the original trial. However her decision was later overturned because other judges ruled she didn’t have enough evidence to support the verdict. I think she did, because she knew the most important thing: these farmers would never do this again. Had it been handled through restorative justice, the Dykermans could have acknowledged their mistake to the community, the local watershed group, and recommitted to the good farming practices they already use. That’s how you develop accountability. One more example of the importance of farmers finding the right reason to farm responsibly, rather than just fear of the law. There is a lot of sloping land, and potato farming in and around Souris, but so far no fish kills over the years. Can this be linked to the long standing effort of the local watershed group to have farmers and others talk to each other and try to understand the challenges farmers face, and the need to preserve natural areas to support fishing and tourism? That’s very different from other rural communities where farmers can be regarded as troublemakers and even shunned. I’m not suggesting we can all have a “kumbaya” moment and everything will be OK, or that regulations and an enforcement regime aren’t needed. I want responsible people handling pesticides, committed to protecting the health of their neighbours, local wildlife and waterways. I want caution and good judgement, not a tape measure used to determine the size of buffer zones. I’m not convinced that lots of red tape and paperwork, and the threat of the heavy hand of the justice system, gets us that. The major celestial event of the summer is the closest approach of Mars since 2003. The Red Planet is currently drawing closer to Earth at a whopping 338,00 km each day. At opposition (opposite the sun as seen from Earth) on July 27, Mars will rise at sunset and set at sunrise, remaining visible all night. Its closest approach to Earth, when it will be at its largest as seen through a telescope, occurs at around 4:50 a.m. on July 31. As July opens, Mars (in the constellation of Capricornus - the Sea Goat) rises about two hours after sunset (one hour by mid-month) in the SE. Currently at about mag. -2.2, Mars will double in brightness to a dazzling -2.8 by opposition. There is currently a global dust storm circulating the planet, which may or may not impact views of the planet's surface features and southern ice cap, should it persevere right up to its closest approach to Earth at the end of the month. For more information regarding Mars this month, go to www.astronomy.com or www.skyandtelescope.com or google Mars July 2018. As bright as Mars will get this month, it cannot match the brilliance (mag. -4.2) of Venus. Visible in the western sky at dusk about 45 minutes after sunset, Venus will follow the sun down below the horizon shortly before midnight. If you are quick, you might catch a glimpse of Mercury this month. Jupiter sits due south soon after sunset as July opens, shifting to the SW by the end of the month. Currently moving westward in the constellation of Libra - the Scales, Jupiter starts the month at mag. -2.3 before dimming slightly to -2.1 as July ends. A decent telescope will show the planet's numerous cloud bands, the Great Red Spot and its four largest moons - Io, Europa, Callisto and Ganymede. Saturn and its magnificent ring system, having reached opposition on June 27th is still visible through the hours of darkness this month. At mag. +0.0 (brightening slightly to +0.2 by end of month), Saturn currently sits in the constellation of Sagittarius - the Archer. Its best visibility (weather permitting) comes when the planet sits at its highest point in the night sky around midnight, when it crosses the sky's meridian (due south). The Delta Aquarid (radiant in Aquarius - the Water Bearer) meteor shower peaks in the pre-dawn hours of July 28. Though the full moon will wash out the fainter meteors, you still should be able to see many of the 20+/hour meteors as they cross the summer night sky. Farmers' Market open today, 9AM-2PM, Belvedere Avenue. There is construction on Belvedere between Mount Edward and Brackley Point Road. Micro Workshop: 'Grow Your Own Fertilizer', 6-6:30PM. "A healthy, living soil is a key component to growing healthy plants. In theory, a proper rotation companion plants and certain herbal teas can provide virtually all the fertility you need in an organic garden. When it comes to feeding soil to grow healthy plants, nothing beats organic nutrients which are released slowly into the ground as plants need them. This presentation will show you how to create a crop rotation and explain what plants can be used to add fertility to your crops." BP Canada has been given the green light to restart drilling operations off the coast of Nova Scotia, a month after the energy giant spilled thousands of litres of drilling mud into the Atlantic Ocean. The Canada-Nova Scotia Offshore Petroleum Board said Monday it gave the company approval to resume drilling operations late Sunday. The energy regulator said the leak was caused by a loose connection in the mud booster line. It said BP has put in place measures to prevent another accident, including replacing a section of the mud booster line and installing a pressure system alarm. “We have verified that all the responsive steps have been implemented,” board CEO Stuart Pinks said in an incident bulletin update. BP Canada did not immediately respond to a request for comment. The leak of 136 cubic metres of synthetic drilling mud from BP Canada’s West Aquarius drilling unit, about 330 kilometres southeast of Halifax, sparked widespread concern about offshore exploration in Nova Scotia. The Assembly of Nova Scotia Mi’kmaq Chiefs said last month the incident raises questions about the protection of the land and water, as well as any species potentially affected by the spill. Synthetic-based mud is a heavy, dense fluid used during drilling to lubricate the drill pipe and regulate reservoir pressure. The regulator is continuing to investigate the potential environmental effects of the spill, including reviewing footage of the seabed and analyzing samples of the drilling mud on the sea floor. A report will be made public once the investigation has concluded, the board said. Board spokeswoman Stacy O’Rourke said determining if any enforcement actions may be taken — including fines — will be part of the regulator’s ongoing investigation. The Montréal Insectarium is currently conducting a huge scientific research program to help save monarch butterflies in Canada. The goal of the “Mission Monarch” study is to inventory and describe habitats where these splendid butterflies reproduce, to see whether the number and distribution of milkweed plants has an impact on the significant decline in monarch butterfly populations in North America. "Whether we and our politicians know it or not, nature is party to all our deals and decisions, and she has more votes, a longer memory, and a sterner sense of justice than we do." "Keep Your Garden Growing" Workshop, 6PM, Farm Centre Legacy Garden, Charlottetown, with original Legacy Garden farmer Stephanie Dewar. Free. Talk: " Island Acadians of the 1760s and Oath of Allegiance' by Earl Lockerby, 7PM, Acadian Museum of P.E.I. (10km west of Summerside on Rte. 2). Admission by donation. "The oath of allegiance, prior to the Nova Scotia Acadian Deportation of 1755 is a topic that has been well explored by historians. Much less examined is the attitude of Acadians toward the swearing of allegiance to the British sovereign during the 1760s and the decade or two following. Lockerby’s presentation will explore the latter period with special reference to Acadians living on P.E.I. and the attitudes among Acadians living in the Maritime region during that time period. It is determined that Acadians treated the oath of allegiance with ambivalence and flexibility than they did during the several decades leading up to 1755.
including a special event showing at the Watermark Theatre of Dial M for Murder. Yesterday, Elections PEI posted on social media the results of an election on July 23rd, in 1935, where famously, the Conservatives were completely shut out of winning any seats. They did get about 40% of the votes by a rough guess. Here are two elections (these summer elections!) held on July 24th in 1919 and in 1923, showing huge seat disparities, despite not such huge disparity in the popular vote. Thanks to Elections PEI for being so engaging. Rural representation better under First-Past-the-Post? It certainly depends. This is our electoral system currently, but other systems can be tried. Potato Head Blues, An apology tribute to Louis Armstrong, 7PM, Beaconsfield Carriage House. "60 years ago in July 1958 Louis Armstrong & His All Stars performed in PEI to 2000 happy music fans, not long after having been asked to change hotels in PEI due to his race.... For this commemorative concert local historian Jim Hornby chose "Potato Head Blues" as the tile, named for the 1927 recording that is one of Armstrong's greatest, because it connects the Island to the downcast mood reflected in Louis Armstrong's pre-Charlottetown show photograph, shown in the event poster, and how it was hushed-up. Jim Hornby will give a multimedia presentation on the history of the incident, including Louis Armstrong's classy gift to someone who was hospitable to them while in town. Jazz will follow, featuring Peter Bevan-Baker, trumpet; Doug Millington, trombone; Marlee Saulnier, alto saxophone; Max Keenlyside, piano; Chris Martell, bass, and Alan Dowling, drums." "Keep Your Garden Growing" -- Mid-summer Garden Workshop, 6-8PM, Farm Centre Legacy Garden, Plot #18. Pests and diseases to look out for in mid-summer. (feel free to bring leaf examples of damaged crops). Presented by farmer Stephanie Dewar, one of the original Legacy Gardeners, Stephanie has worked with many of the Island's best organic farmers. Hosted by the Food Exchange (www.foodexchangepei.com) and made possible by the City of Charlottetown sustainability micro grant." "It is worth appreciating that our current first-past-the-post (FPTP) electoral system is actually the exception—not the norm—among democratic countries." We’re separated from autocratic government by little more than a quadrennial ritual, observed by barely half of us, and a theatrical scrim of accountability and consultation that’s raised and lowered to fit the political scene. It wouldn’t take much of an uptick in apathy or ignorance for our tenuous grip on democracy to wither and atrophy into irrelevance, but if it does we’ll have only ourselves to blame. Some — jurists and purists — will point out that the rule of law is what stands between liberty and tyranny, and while there’s merit and truth in their argument, lawmakers are so called with reason. Legal, even constitutionally entrenched, freedoms are fragile, and while their erosion begins almost imperceptibly, the shifting sand can quickly undermine vital democratic institutions. In America, voter suppression has taken hold in numerous states in deceitful response to mythical voter fraud, a fantasy fed by a president who called the 2016 election rigged and famously refused to commit to its outcome until he won. Apathy has plagued American and Canadian democracies for generations. Turnout in presidential elections hasn’t topped 60 per cent of eligible voters since 1968. In Nova Scotia, the 2017 election produced the lowest turnout on record when only 54 per cent of potential voters bothered to cast ballots. And yet, ignorance is rapidly overtaking apathy as the graver danger to democracy. America’s last presidential election was a dis- and mis-information campaign complete with foreign assistance, and the winner lies pathologically but is believed by a sizable minority of Americans who prefer not to know better. Public education in many states, where teachers are forced to take a second or third job to survive, has produced an America that’s no longer just blissfully unaware of the rest of the world. It is woefully unschooled about its own democracy. It is axiomatic that an informed, engaged citizenry is essential to a healthy democracy. A knowledgeable electorate is also the best cure for lousy government. Even in nations where rights are restricted, the contempt of a defiant citizenry will temper a despot’s abuse of authority. Nova Scotians have a government that fully enjoys the inherent authority bestowed upon it by about one in four eligible voters. Content with that mandate, the Liberals apparently see little virtue in nurturing soft, consensual authority between elections. Or, if it recognizes the advantages of soft power, the government has absolutely no idea how to earn it. Stephen McNeil’s Liberal government prefers to find or create supportive surrogates with the qualifications to paint a veneer of knowledgeable respectability over its policies, rather than risk engaging groups and organizations created to represent specific sectoral or professional interests, yet the government will refer to those same organizations as “partners” when the purpose suits. For instance, last week on the night before the province announced it was closing two hospitals in Cape Breton, Doctors Nova Scotia was informed there was a big announcement in the offing but was given none of the details. Professional leadership at the doomed facilities was kept in the dark as well. This spring, teachers learned of sweeping changes to the structure of public schools only when Education Minister Zach Churchill announced them publicly. It takes a special kind of arrogance for politicians and bureaucrats to imagine they can make better decisions in splendid isolation rather than in collaboration with those most intimately involved in the public services affected. Collaboration with doctors, nurses, teachers, farmers, fishermen, municipal officials and any other Nova Scotians that the government likes to label “key stakeholders” is not just a recipe for better policy, it earns the government soft power, a legitimacy for its actions based on the virtues of transparency, accountability and due diligence. It’s like a boss who involves her employees in the decision-making process. The decisions are better and understood by the employees who buy into the objectives. The alternative, a boss who simply tells workers what to do, more closely resembles the province’s current model. Good government isn’t afraid of engagement, while a government motivated first and most by politics holds its cards close to its vest so it can maintain tight control over the message. The former has confidence it can support its decisions. The latter works hard to keep secrets because it lacks confidence it is doing the right thing. It’s a cliché that people get the government they deserve but it is not always true. History is resplendent with examples of governments no one deserved. A Photographer's Guide to P.E.I., 11:30AM-1:30PM, Macphail Homestead, Orwell. "Landscape photography of PEI will be the theme of this talk by Stephen DesRoches. Having recently co-published a book by the same name, Stephen will show photographs he has taken and talk about the Island and photography. This event will start with a brunch which will be followed by a slideshow and talk. Cost $25 per person. Reservations suggested, contact Angie at macphailhomestead@gmail.com or call 902 651-2789." PEI Pride Week Kickoff BBQ, 2-4PM, Rochford Square, hosted by MP Sean Casey. "...help kick off PEI Pride Week with a BBQ. We'll have hotdogs, chips, pop and the musical stylings of Emily Coffin and Ryan Merry. Everyone is welcome!" District 7 Progressive Conservative Strawberry Social, 3PM, Rossiter Park Shelter, hosted by MLA Sidney MacEwen. "Plastic Strawgate became a thing for the same reason we endlessly argue about recycling: it's easier to fixate on small personal choices that feel under our control than it is to restructure our society at the systemic level we need to truly help the environment." "So where's all this "-gate" stuff coming from, anyway? Back in 1972, when operatives of President Richard Nixon's re-election campaign were caught breaking into the offices of the Democratic National Committee in Washington's Watergate complex. The expose of that scandal and the subsequent cover-up effort led to Nixon's resignation in 1974. But it had another consequence as well. Affixing the "-gate" suffix to the name of a scandal — whether great or small, actual or imagined — quickly became a convention for headline writers everywhere, and surprisingly quickly." And a plea from some members of the Prime Minister's Youth Advisory Council not to buy the Kinder-Morgan pipeline. They may be looking for systemic change to truly help the environment. We Want You! Federal Candidate Information Session, Charlottetown, 7PM, Upstreet Craft Brewery. "Ever thought about creating positive change in your community? This is your chance to get real life campaign experience from our last federal candidate Joe Byrne! Join us for good friends, good talk and good beer. 7pm at upstreet after the Strawberry Social!" In the pastoral land of red cliffs, lush meadows, and Anne of Green Gables, the small-scale farming for which Prince Edward Island is renowned has been quietly under attack by corporate giants for decades. While tourists may still see a picturesque landscape on the so-called “gentle island,” Islanders see farms being foreclosed at an unprecedented rate, fish kills due to the over-application of synthetic pesticides, and our future quite literally receding into the ocean. Agribusinesses on P.E.I. are often vertically integrated, meaning they “control the seed, the growers, the processing, the trucking, the box-making and all of the pesticides and all of the fertilizers,” says Ann Wheatley, an organizer for food justice and migrant worker rights with the Cooper Institute. “There are a couple of the corporations [like Cavendish Farms and McCain Foods] that really have all of those angles covered, so they have complete control and then they also have a lot of political power because they’re wealthy,” she tells me. While corporate influence in agriculture is a major problem across Canada, it is particularly apparent in P.E.I., where agriculture and the fisheries are basically our entire economy. In opposition to this corporatization, the fight for food sovereignty has emerged in P.E.I. over the past few decades. As a movement, food sovereignty radically undermines the corporate industrial model of agriculture that seeks to eliminate the family farm, destroy our environment in favour of profit, and concentrate control of basic resources in the hands of a few elite players. A concept that originated in the mid-1990s with the Latin American peasant movement La Via Campesina, food sovereignty asserts that the people who produce, distribute, and consume food should have the right to define their own food systems and policies – not corporations and market institutions. Under food sovereignty, everyone should have access to safe, nutritious, culturally appropriate food that is grown fairly by a community and for a community. Throughout the mid-20th century, the Western world experienced a fundamental shift in the way we practise agriculture due to changes in technology and post-war food shortages. The green revolution – an attempt at agricultural industrialization and increasing crop yield – encouraged liberal applications of synthetic fertilizers and biocides (pesticides, herbicides, and fungicides), the use of heavy machinery such as large tractors and combine harvesters, and the distribution of genetically altered or hybridized seeds. Power over global agricultural inputs has become increasingly concentrated since the green revolution, and three companies – Bayer, Syngenta, and BASF – control roughly half of the global agrochemical market. About 80 per cent of U.S. corn and more than 90 per cent of U.S. soybeans are owned by Monsanto (now Bayer). The green revolution has greatly benefited agribusinesses, as fertilizer, seed, and farm equipment companies still capture the majority of agricultural profits in Canada. The total value of all primary agricultural goods produced from 1985 to 2011 in Canada was over three-quarters of a trillion dollars, yet 100 per cent of profits were reaped by agribusinesses, while farmers have seen their net debt increase over the same period. P.E.I. was slow to adopt green revolution technologies, but passed the Comprehensive Development Plan in 1969, with federal financial support. It sought to “modernize” the P.E.I. economy, and off-Island experts were brought in to eliminate inefficiencies in the agricultural sector. The small-scale family farm became their target, and legislation was designed to favour large industrial farm operations through subsidization. In 1971, during the height of tourist season, thousands of Island farmers blockaded the main highways with their tractors in a protest organized by the National Farmers Union (NFU). After a tense standoff with the RCMP outside of a ferry terminal in Borden, where farmers had formed a human chain to block the terminal, the P.E.I. government agreed to develop legislation protecting the family farm through limiting foreign land ownership and placing an upper acreage limit on farm operations. While much has changed on P.E.I. since the early 1970s, a guiding principle remains: Islanders will not accept the corporatization of our province without a fight. However, the power of corporate giants is significant, as potato magnates Cavendish Farms (owned by the vast oil empire, the Irving Group) and McCain began to dominate P.E.I. agriculture in the latter 20th century and brought the corporate, industrial model of agriculture with them. Both of these corporations are based off-Island, meaning that they exploit our land and environmental resources while remitting the profits to mainland investors. When you think of P.E.I., you think of potatoes. Of the $497 million that the agricultural sector contributed to the P.E.I. economy in 2013, over half was generated through potato production and distribution. Though the provincial government requires farmers to rotate the location of crops every three years, monocropping has still taken an environmental toll. As a root vegetable, potatoes leach nitrogen out of the soil – and the vast acres of potato farms have severely degraded soil quality on P.E.I. over the last twenty years. Farmers who are forced to work under the corporate model will typically apply massive amounts of nitrogen and phosphorous-based synthetic fertilizers and biocides to the fields to increase crop yield. Corporations like Nutrien – formed from a merger of PotashCorp and Agrium – benefit, while farmers barely scrape out a living. During rainy P.E.I. summers, runoff from these pesticide-laden fields can enter waterways, killing entire schools of freshwater fish overnight. Since 1962, there have been 51 pesticide-related fish kills on P.E.I. of various severities. Like a canary in the coal mine, fish kills often serve as indicators of severe environ-mental distress. The corporate model of agriculture is also heavily invested in the fossil fuel industry – the Irving Group, for example, operates Canada’s largest refinery in Saint John, New Brunswick. And it makes sense that vertically integrated agribusinesses are also invested in oil: the machinery necessary to sustain and process artificially high crop yields guzzles fossil fuels, and in turn expels vast amounts of carbon dioxide. I don’t think it has sunk in yet for most Islanders that, as a low-lying island, we will be the among the first in the country to be swallowed by rising sea levels caused by climate change. Although I am only 21 years old, I have already seen our natural landscapes shift and change due to increased erosion. As an Islander, one of my deepest fears is that my home will cease to exist for future generations. In the past 50 years alone, the number of potato farms on P.E.I. has decreased from over 5,000 to under 250. In number, farms are shrinking, but in size, they’re growing – meaning that fewer Islanders are able to make a living from farming. In a province with some of the highest unemployment and household poverty rates in Canada, the unsustainable future of farming – our keystone industry – is incredibly concerning to Islanders. According to a farmer from Queens County, P.E.I., fewer young people on the Island (and across Canada) are getting into farming. “It’s related to the huge barriers to entry [for farming] like securing land and equipment, which – even at a small scale – is tens of thousands of dollars of investment just to get started. Sure, people can rent land, but you would have to know enough to begin with. I think that a [lack] of knowledge and capital – to boil it down – are the two main barriers to entry, but they’re really interdependent.” This farmer asked to remain anonymous, explaining that he’s new to farming and is worried that speaking frankly about its challenges will have negative financial consequences. The knowledge and capital necessary for successful farming have become concentrated in the hands of a few elites, and our generation is losing our common agricultural heritage. We have acted on the assumption that the corporate industrial food model is here to stay, but something has to give in the current system. Family farmers on the Island are resisting the corporate model through agro-ecology: the recognition that we can, and should, farm with environmental sustainability as a priority. As a certified organic producer, Phelan refuses to use synthetic fertilizers or biocides on his farm, and also tries to limit the amount of water used through irrigation systems. Phelan is also a member of the Seaspray Organics Co-operative, along with the farmers across the road, and together their produce is distributed through farmers’ markets and CSA (community-supported agriculture) veggie boxes. It is a failure of the capitalist system that a case of strawberries grown five minutes from my house is more expensive than those from another country. Many farmers have called upon the provincial government to implement higher minimum wages – which they did, in April – or a basic income program to allow consumers to purchase local, environmentally friendly food. When Sally Bernard from Barnyard Organics’ grain and livestock farm started farming with her partner, they wanted to protect the land they farmed, and “for the love of the soil” quickly became their motto. To maintain soil health they apply healthy doses of manure, rotate crops frequently as a natural form of pest management, and apply cover crops during the harsh Island winters to prevent topsoil erosion. In a recent example of food sovereignty in action, some Mi’kmaw people on the island have started the Three Sisters Teaching and Knowledge Garden on land returned by Sweet Clover Farm in Valleyfield, P.E.I. “Three Sisters” refers to the practice of companion planting used by various First Nations across North America. This garden produces three crops: flint corn, beans, and squash. Corn, which leaches nitrogen from the soil, is interspersed with beans, which naturally replenish nitrogen. Squash provides moisture to the soil, and its broad leaves block sunlight to weeds. According to Jenna Burke, a mentor for Indigenous students at the University of Prince Edward Island who was involved in the project, “There’s just a lot of teaching and learning and revival of culture that we can do through just planting seeds – something that we’ve always done and almost was lost.” P.E.I. is the unceded territory of the Mi’kmaq, but Mi’kmaw farmers are relatively few, as farmland is typically owned and passed down within settler families due to laws in Canada that restricted First Nations to small reserves of often undesirable land. The recognition that food is sacred is a primary tenet of food sovereignty, and this garden allows Mi’kmaw gardeners to reclaim their culture and land from settlers. Randall Affleck, a fifth-generation dairy farmer from Bedeque, joined the NFU as a young farmer in the 1980s. “They did a lot over the years to hold back the tide of industrial agriculture,” he tells me. Of all the agricultural organizations on P.E.I., the NFU is the one that most consistently stands against the total industrialization of Island farms. They were a guiding force behind the landmark Lands Protection Act, which placed strict upper acreage limits on farms. They have consistently called upon the provincial government to stop subsidizing large-scale farming at the expense of family farmers, and have implemented mentorship programs for young farmers, especially young women. More recently, the NFU has co-operated with local community organizations like the Cooper Institute to campaign for the rights of migrant workers, and for the implementation of a basic income pilot project to combat high poverty rates on the Island. According to Phelan, “the biggest [issue] in farming is that its pay is precarious in terms of what’s going to sell, what the prices are going to be – so it’s hard for young people to get started and learn the ropes. But if you had a basic income guarantee it would be great for someone getting started with a small farm.” A basic income would also allow consumers to make more localized food choices. The Maritimes is often treated as a footnote to Canada – and as a result, we underestimate our own ability to resist the capitalist system because our resistance does not typically resemble that of urban centres. While we may not picket frequently or lead marches, resistance is taking place in everyday interactions guided by farmers who refuse to see food as a commodity. These are farmers who prioritize the environment and our future, and who reject the corporate model of agriculture even though it often provides a steadier income. P.E.I. is a have-not province, and too often working-class people are convinced that we must work within oppressive systems out of economic necessity, instead of leading an outright revolution ourselves. Jill MacIntyre is an Islander who recently graduated from Mount Allison University with a degree in international relations. When she isn’t studying food sovereignty movements, she enjoys gardening, reading, and swimming in the ocean for hours on end. -- quoted by Island organic farmer Soleil Hutchinson, who among other ventures is part of the pop-up Farmers' Market, Thursdays the Farm Centre. Cardigan Farmers' Market open today, 10AM-2PM. Aquaculture Zoning System Public Consultation, Mill River Region, 6PM, Mill River Resort. Farm Centre Farmers' Market, 4-7PM, Farm Centre, 420 University Avenue. There will be lots of produce and other items. Wayne Easter (MP -- Malpeque) Summer Social, 6-8PM, Crapaud Community Hall, Rte. 13 just past Harvey's General Store (where you can get lovely local bouquets from V's Flowers, and greens from Just a Little Farm, both Bonshaw enterprises). All welcome. We Want You! Federal Candidate Info Session -- Charlottetown, 7PM, Upstreet Craft Brewery. "Ever thought about creating positive change in your community? This is your chance to get real life campaign experience from our last federal candidate Joe Byrne! Join us for good friends, good talk and good beer." The federal election is just a little over a year away, as evidenced by the Prime Minister's cabinet shuffle, so it's not too soon. Potato Head Blues, An apology tribute to Louis Armstrong, 7PM, Beaconsfield Carriage House. "60 years ago in July 1958 Louis Armstrong & His All Stars performed in PEI to 2000 happy music fans, not long after having been asked to change hotels in PEI due to his race." The 350.org people are launching a twice-monthly e-mail newsletter called the Fossil Free Digest. "Stories and news on climate organizing that matter and inspire, delivered directly to you every 2 weeks. Courtesy of Nicole, and all your friends at 350.org and across this beautiful global movement for a Fossil Free world." Charlottetown Farmers' Market is open, 9AM-2PM. Construction along Belvedere Avenue closer to the Brackley Point Road intersection should be noted. It is good to see Permaculture (a system of agriculture which uses design principles from natural ecosystems) carried on in the next generation or two by people like Matt Powers from the original ideas of David Holmgren and Bill Mollison in the 1970s. Here is Power's website, for a bit of reading as you contemplate weeding. In late spring the Premier said something like it would be good if Island political parties had their candidates for any next election in place by early June. Many took this to mean a late spring election, or early, early Fall 2018, as not to interfere with Fall municipal elections or a Fall 2019 federal election. Some parties in some districts have candidates nominated, but it's a bit of a hodge-podge. We can work with Nature. We can restore and design regenerative ecosystems. The Prince Edward Island author will be reading from her novels. "The Scottish Pioneers novel series by Margaret Westlie consists of four books, all set in eastern Prince Edward Island in the 19th century. They are based on stories told within her family, who are descended from the Selkirk Settlers who came to Prince Edward Island in 1803. Westlie’s novels focus on community and the individual’s relationship to it." Bluefin documentary outdoor free screening, 10:15PM, Confederation Centre Plaza, free. John Hopkins documentary about the the tuna's change in habits over the years and what this may be saying about the the species' health. Gorgeous cinematography, clear interviews, much, much for thought. Though the issue of rural health care is being played politically by some who do that well, the big picture of rural health care is about more that cutting, or not cutting, services like hospitals and emergency rooms. Caring for our health care system is a complex, multi-faceted task, just as caring for our own health is. While having a consistent relationship with a family doctor is essential, there are many resources, beyond family doctors, that we might access to support our health and our family’s health. In the same way, a healthy health care system is best achieved when decision makers think more broadly, more holistically, and, above all, more sustainably; when they look beyond the usual short term or singular remedies. At the public forum on health care in Montague, I asked Minister Robert Mitchell what plans his department had, beyond doctor recruitment, to ensure sustainable (long term) and accessible acute care for Islanders. I wasn’t the only person at the forum asking that question. The response we were given was that the government is busy recruiting - a confusing response after Minister Mitchell’s comment that if physicians indicate they would like to come to rural P.E.I. then the community needs to step up to sell the job like a tour operator sells the Island to a tourist. There was wisdom in that room last week, and that wisdom sadly seemed to go unnoticed. I found the simple, short-sighted solutions and cries for more of the same coming from politicians to be devaluing and disrespectful of the intelligent, resourceful and invested people in the room. Community members spoke of the relationship between health, business, education, and rural development, while Minister Mitchell stayed solidly within his silo, commenting at one point that his thing isn’t education, it’s health. Community members spoke of collaborative models and going beyond the same old, same old solutions for the challenges in acute care. They offered solutions, identified problems with professional territoriality, pointed out when the statistics being offered were inaccurate or misleading, and concerningly, spoke of the lack of consultation with frontline health workers and community members. The same old reactive approach to addressing health care shortfalls came from both the red and blue parties, and as someone who was there to listen and learn from the community, I tend to believe my frustration is shared. Community members have ideas, see the interplay between all aspects of life and community, know their needs best, and above all, want health for their families. Good solutions - long term, sustainable solutions - will come from good, open, and honest dialogue with Islanders. I did not see the opportunity for that at the Montague meeting, but I did see the desire. - Susan Hartley, health and wellness critic, Green Party of P.E.I. The NDP is asking for support on a petition that is simply "Climate Leaders Don't Buy Pipelines." "We, the undersigned, citizens and residents of Canada, call upon the House of Commons to call upon the Government of Canada to authorize a full environmental assessment report under the Canadian Environmental Assessment Agency regarding this proposed pipe." Young Greens Picnic, 12-3PM, Victoria Park, Raindate July 22nd). "...a picnic social to learn more about people under 30's issues, opinions, and experiences. BYOB (Bring Your Own Basket/Blanket). Feel free to bring instruments, soccer balls, frisbees or even your dog (if on a leash and away from food)....A speech from Peter Bevan-Baker and Hannah Bell will kick the event off. DiverseCity Multicultural Festival-- Montague, 2-10PM, Waterfront Park. Cornwall Official Opening, Naturalization Gallery and Multicultural Festival, 1-7PM, Terry Fox Sports Complex in Cornwall. Free except small charge for bouncy castles and such. Further details of activities on poster. Here is an article by CBC with some information on provincial flower (but not "protected") Lady Slipper, with some excellent photos by Natural History Society member Donna Martin and former Guardian photographer Brian McInnis. "The seed pods are almost ready -- an idea that you might consider sharing is ..... If everyone picked a few seeds and spread them on the side of the Plan B highway then in two years we could have the start of something a little more picturesque than the intermittent grass and clay that is there now. Food for thought...."
"...The notion of native versus non-native is much discussed of late. Even the idea of beneficial invasive species is now debated in popular and scientific circles. Nature isn't static, and we cannot just take a snapshot of what we think is native today, or at some random point in history, and try to force the landscape to conform. Check out Ken Thompson's book, Where do Camels Belong?, and this article, for an introduction to these ideas." Macphail Woods Forest Restoration Workshop, 2PM, Macphail Woods, Orwell, free. DiverseCity tomorrow in Montague, 2PM- onward, Montague waterfront. There is a little bit of a disconnect in that our Premier is calling for a better way to dispense of the effluent from the Pictou pulp mill, but not really acknowledging our various ways of polluting the Strait. Why are we not renovating plant to drastically reduce the pollution generated in the first place? Wednesday’s Guardian (July 11) offered opposing views on the proposed pulp mill outlet pipe. One viewpoint was from Nova Scotia MLA John Lohr stating that the preservation of the pulp mill was essential for preserving lots of jobs, and that P.E.I. pollutes the water too, so who are we to complain and hold up progress? The second opposing viewpoint was from our own Premier Wade MacLauchlan who expressed grave concern about the outlets effect on fisheries and tourism and asked for a federal review. John Lohr is, of course, right that P.E.I. pollutes as well. Most of the water we use, be it for residential use or industrial use gets dumped into the sea. On top of that our agriculture drops huge amounts of fertilizer and chemicals into the ocean. Of course, Premier MacLauchlan would never acknowledge that our own pollution is a problem, but I will leave it to the reader to determine if that means he is a hypocrite or just a wily politician. More to the point why is nobody discussing the obvious solution? Why are we not renovating or rebuilding the plant to drastically reduce the pollution generated in the first place? Why are we producing bleached paper, when brown paper is just as good in many cases? My coffee filter (bought at a premium price) is brown. If I could purchase brown unbleached paper towels or toilet paper I would do so as well. Even if bleaching is needed, for items such as white paper, the bleaching can be chlorine free, eliminating most of the toxic effluents. Unfortunately, paper production uses a lot of water, and it all has to go somewhere. Turns out that a settling lagoon, such as the one the new system proposes to eliminate, is the best way to settle out particulates. However, the waste water entering such a lagoon should be as clean and free of chemicals as possible, so we do not end up with a future clean up problem such as the current toxic lagoon. May I suggest that the premiers of both Nova Scotia and P.E.I. get together, and instead of battling each other, look into what it would take to create a new or renovated paper mill producing unbleached products in an environmental acceptable manner. Seems like a great opportunity for ACOA and the feds to get involved in a positive way. Hope the new plant will also eliminate the sulfur smell that occasionally drifts over to P.E.I., and I imagine Nova Scotians would really appreciate that as well. Could be a win-win situation. Macphail Woods Forest Restoration Workshop, 2PM, Macphail Woods, free. There will be a presentation and then walk. "The walk will provide an excellent opportunity to not only learn more about woodlands but also to share knowledge. While walking through the various forest types, participants will discuss the variety of techniques that can be used to improve the sites, which may involve cutting and/or planting. Bring your ideas and your forest problems - there will be plenty of time for discussion." I do not have a full picture of how municipal restructuring went in Nova Scotia, but from what little I do know, it appears to have been done with lots of local participation, assistance from the Province, and no panic or fear-mongering about meeting particular timelines. "The Municipality of the County of Annapolis has issued the 2018 Forestry Report prepared by the Annapolis County Forestry Advisory Committee. Gregory Heming the Co-Founder and Senior Advisor Centre for Local Prosperity is also Chair of the Forestry Advisory Committee and a County of Annapolis Municipal Councillor. The report is a summary of their initial research and makes a set of recommendations to the council. The primary recommendation is to adopt the 'Climate Forest' paradigm with the ultimate goal to begin the intelligent shift to a municipal forestry model. If Annapolis County is going to meet its economic target of 80% local food and energy production by 2050, a bold and clear forestry strategy is essential. Collaborators will include Annapolis County, Medway Community Forest Co-op, local mill operators, the Department of Natural Resources, private landowners, Mi'kmaq, Western Woodlot Services Cooperative and forest industry organizations. Green Drinks -- Summerside, 7-9PM, PEI Lobster House at the Shipyard. Regular monthly drop-in chat, all welcome. For the next three nights, the final three films in the six-film retrospective of Alanis Obomsawin's work will be screened, 9PM, City Cinema, admission by donation. Documenting a 2007 court case which argued that First Nations children living on reserves or in the Yukon recieved a lack of funding from Indian Affairs and Northern Development Canada. The film explores the Helen Betty Osborne Ininiw Education Resource Centre, an N-12 Frontier School Division school in Norway House, Manitoba where Cree students are taught about their own history and culture alongside the regular Manitoba school curriculum. Harrington Research Farm Open House, 10AM-2PM, 1200 Brackley Point Road, Harrington. Looking for something different in summer travel this year? Take a wagon ride at Agriculture and Agri-Food Canada’s Harrington Research Farm, the site for crop and environmental research by the science team at the Charlottetown Research and Development Centre in Prince Edward Island. Bring the whole family to this free one-day event and learn how research and technology are changing agriculture in the province and across the country. Naomi Klein’s new book, The Battle for Paradise: Puerto Rico Takes on the Disaster Capitalists, is a must-read for anyone who is concerned with how the ultra-rich have learned to take advantage of people affected by major disasters in their most desperate hour — and want to do something about it. There is a draw for a free copy of the book. You can also sign up for e-mail updates from The Leap organization. On Friday I joined hundreds of people, including a large contingent of Islanders, in Pictou where we expressed our concerns about a plan to pump effluent from Northern Pulp’s mill through a pipeline directly into the Northumberland Strait. The company’s own estimates predict that upwards of 70 million litres will be discharged every single day of the year. That’s a lot of waste water from a paper making process which produces some of the most dangerous chemicals known to mankind; carcinogens like furans and dioxins, and heavy metals such as mercury and cadmium. For over 50 years this water has been “treated” by flowing it through Boat Harbour – a lagoon near the mill, now profoundly contaminated – where much of the particulate matter in the effluent would settle out, and eventually the water was released into the strait, which locally has suffered severe environmental problems as a result. As of 2020, Boat Harbour will no longer be allowed to be used (the clean-up cost estimated at over $130 million being largely if not entirely borne by taxpayers courtesy of prior agreements between Nova Scotia governments and the trans-national owners.) Hence the “solution” being offered to pump the waste directly into the strait – a proposal which, sadly, is being embraced enthusiastically by Nova Scotia’s current provincial government who doesn’t even think this initiative merits a full environmental assessment. This story is a very local one, but it is a version of a tale that has played out all over the world. The extraordinary growth of humanity, both in population, and in terms of the size of our economy which we have developed to keep us fed, clothed, warm, mobile, entertained etc, etc, has expanded to cause things like massive deforestation, our oceans being emptied of fish and filled with plastics, and the very chemistry of our entire atmosphere being changed. We have gone from being a relatively small and insignificant presence on a seemingly limitless planet, to a dominant species consuming resources and emitting wastes at blatantly unsustainable levels. We sometimes talk about throwing our garbage “away”, as if there is some separate and unconnected place where we can mindlessly unload our waste. The truth is that there is no away. The Earth is one mind-blowingly complex and intimately connected singular whole. Whether it is massive plastic islands floating in our oceans, carbon dioxide pollution in our atmosphere or paper mill wastewater in the Northumberland Strait, we need to re-evaluate what on Earth we’re doing, and to develop a whole new understanding of our relationship with this planet we call home. A place from which we all come and to which we shall all return, and from which every single thing in our economy is derived, and to where every bit of our waste gets flushed. As long as we can think it’s OK to use the Strait as Northern Pulp’s personal toilet, and the Earth as nothing more than a dumping ground for whatever waste we generate, we will continue to bump up against uncomfortable and inconvenient limits. This issue has woken a lot of people up; people who now recognize that we need to live on this Earth as if we intend to stay for a while, and leave it in a habitable state for future generations. Illustrated Talk by Earle Lockerby: "Excellent and Benevolence: Fanning Grammar School", 10AM, Keir Memorial Museum, Malpeque. Progressive Conservative Party of P.E.I. District 9 nomination meeting, registration 7PM, meeting called to order 7:30PM. Malcolm J. Darrach Community Centre. All welcome. Sarah Stewart-Clark has announced her intention to seek the nomination. Green Chat + Coffee -- Cardigan, 7-8:30PM, Birdmouse Quirkshop, 63 Melrose Road, Cardigan. "If you're in the Eastern Kings neighbourhood, pop on by for a super-casual chat with some members of our Island's Green Party. A perfect place to ask questions, share ideas, or just learn more about the Party if you are Green-curious!" Green Drinks -- Summerside, 7PM, Shipyard Market. "PC Pace"-- Summerside Raceway-Red Shores, 7-9PM. Young Greens Picnic, 12-3PM, Victoria Park. "Young Greens will be hosting a picnic in Victoria Park for all people under thirty to a chat, among themselves and local Green leaders (including Peter Bevan-Baker and Hannah Bell), about their opinions, experiences, and issues. This event is BYOB (Bring Your Own Basket/Blanket)." More Green Party events at their calendar, here. NDP PEI Summer Social, 2:30-5PM, Connought Park, Charlottetown. "NDP PEI Leader, Joe Byrne along with our Provincial Council invite Party members & friends to this fun event. We'll celebrate successes and discuss challenges for the future. Join us and bring a friend." Sometimes there is backlash, overreaction, or derision to any environmental effort. This Bloomberg opinion piece says it's the fishing gear, not the straws; but many people feel that lets all of us single-use consumers off the hook, so to speak. During the discussion this Spring in the P.E.I. Legislature of Al Roach's plastic ban bag, and MLA Steven Myers push to have the next steps continue at Standing Committee meetings for single-use plastics, a cabinet minister was concerned about infirm individuals not having access to flexible straws. One would hope any enlightened efforts to protect the environment would absolutely look out for society's most vulnerable and those with various medical and other needs. Maybe we humans can continue to evolve a bit by just being a bit more reasonable and kind in our communications and in appreciating others' efforts. Screening of Bluefin, documentary by John Hopkins, 10:15PM, outside of the Confederation Centre of the Arts. Free. Slightly off-topic, but not when you consider the environmental effects of artificial baby formula, and the onus that falls on women in all countries to procure and prepare it with limited resources of money, clean water, and fuel. News that the United States is not backing a rather general World Health Organization resolution on supporting breastfeeding is not unexpected, but shows that those set to make money on anything (even feeding babies) are truly in charge there. "Every time a baby goes to breast, the $70billion baby food industry loses a sale"
"How to maintain a healthy food garden", 6-8PM, Farm Centre. "This is the second in a series of free workshops being presented by Stephanie Dewar on behalf of the Food Exchange. Everyone welcome." About the Presenter: One of the original Legacy Gardeners, Stephanie Dewar has worked with some of the island's best organic vegetable farmers and will share simple and sustainable tips, tricks and techniques that can be applied to your own backyard garden. Symons Lecture 2018, given by author and historian Margaret MacMillan. Tickets (which are free but need to be reserved) will open up in the Fall sometime. More information on the gardening workshops, Community Sponsored Agriculutre opportunities, and such on the carefully maintained Food Exchange PEI website. Kudos to people like Pauline Howard and others who keep this going. I lost a beautiful, brand-new tiny white muddler minnow trout fly in a tree last weekend. That was the only cloud in an impeccable summer sky. I mention it in part because of the sheer magnificence of that little unused fly: its white hair wings, its body as-yet unchewed by even a single trout. It was a trout fly at that best and worst of times. Best, because it is so spectacularly artful, eventually, at creating the image of a white moth in water. Worst, because you know it’s not going to catch fish right away; it won’t float or swim quite right until it’s gotten wet and less perfect, so you’ll waste casts getting it to settle right. I also mention it in part because of this unfathomable pair of paragraphs (a pair-a-graph, perhaps?) about how you find fulfilment if you’re an extra-rich techno entrepreneur. I am not one to deny you your own personal fulfilment, even if it involves freeform ukulele (an instrument and musical style that philosopher Jean-Paul Sartre described in “Being and Nothingness” as “an aural crush of shrieking squirrels”). (No, he didn’t. Sorry, I got carried away there). If you want to pay money to perform musical glossolalic environmentalism in your living room as a means of finding your centre, that’s all well and good. In fact, I’d say anything that lets you separate yourself from the long march of the everyday is a good thing. For me, it’s a walk down a grassed-over woods trail, shouldered with a declension of alders, close enough to falling water to always hear the nearby rush of it over the rocks. I like calculating how to fish under tightly knit trees and on the edge of steep ground. I like the feel of cold water against my hip waders, while feeling the heat of the sun on my back at the same time. I like being forced to move slowly, to think slowly, to give up electronics and focus instead on angles and the pure line. And to wander away into the world of just how to roll the fly line over to reach an eddy? That practical calculation, that concentration on a physical goal, can drive everything else away. Others have said this before: the convenience of our wired world is also a leash we rarely get to shed. How we actually shed it is an individual issue, but the one thing you have to know is that you must. We are not designed, physically or mentally, to be on call at all hours. Our sleep patterns, our endocrine systems and our brains simply aren’t built to handle that strain. We have to find a space. Find yours and go there. If the string you need is on a ukulele in the hands of a hired heartist, so be it. Mine is on a rod and reel. After the muddler’s abrupt departure? I used a hair-wing Royal Coachman instead, and found proof that large trout still inhabit water just 20 minutes from my house, and at the same time, entire worlds away. Morell Market, 9AM-1PM, The Shelter at Leo Rossiter Park. Queen Street Market, 11AM-4PM, Lower Queen Street, Charlottetown. Brunch and Talk with Sandra Martin, "A Good Death: Making the Most of Our Final Choices", 11AM-1:30PM, Macphail Homestead, $20 members, $25 non-members. Martin will be talking about social change in medicine and the ongoing campaign for death with dignity. Reservations: Macphail Homestead website, call (902) 651-2789. 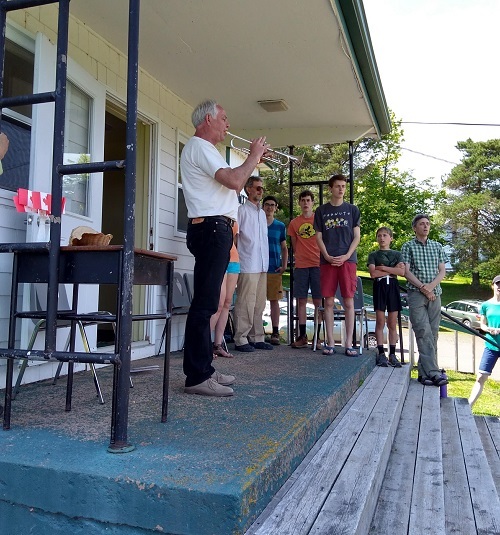 Lawrence MacAulay's annual Cardigan Riding Summer Strawberry Social, 6-8PM, MacAulay farm, 6241 St. Peter's Road, Midgell. Progressive Conservative Party of P.E.I. nomination meeting for District 9, registration 7PM, call to order, 7:30PM, Malcolm Derrach Community Centre. All welcome. Green Drinks, Summerside, 7-9PM, Lobster House, Summerside. Chat with the Green Party of PEI nominated candidates for some Districts in the area and other people about plans and goals. CHEERS: To parents and teachers who showed up for consultation meetings of the Public Schools Branch last week. After a raucous consultation process in late 2016 and early 2017, which culminated in the controversial recommendation to close St. Jean and Georgetown schools, one would expect parental interest in issues of school catchment and capacity would still be high. Strangely, attendance at the consultation meetings last week was modest; over the three sessions, roughly 48 parents and teachers attended. They offered constructive suggestions to the PSB board on how to deal with the issue of full schools in Charlottetown. Parents and teachers who came out should be commended for their show of civic responsibility and their vigilance. Those still interested in weighing in on the future of the school system can fill out an online survey on the PSB website until July 20. This is rather unfair to parents and community members. These three public consultations were during the last week of public school (already summer vacation for high schoolers). Many families were regrouping and spending some evenings together as a family before summer schedules begin, or already busy with summer sport activities. After the circus of the previous School Review, you could see many being wary about investing time at this point in any process. Cornwall Stream Clean-up and Tree Giveaway, 9AM-1PM, Cornwall Community Gardens, off MacArthur Drive, (from Charlottetown, left on John St. and right on James, will be on left; from Ferry Road, left on MacArthur and Gardens on right). Hosted by Cornwall and Area Watershed Group (CAWG). Cast Iron BBQ and Grilling Workshop, 2-4PM. Not sure of spacing in today's workshop but it will be repeated on July 28th and August 25th. Alanis Obomsawin Movie Retrospective, Waban-Aki: People from Where the Sun Rises (2006, 104 minutes), 9PM, City Cinema. "The filmmaker returns to the village where she was raised to craft a lyrical account of her own people. After decades of tirelessly recording others' stories, she focuses this film on her own." Opening: The Complete Works of William Shakespeare (Abridged), 7:30PM, Kings Playhouse, Georgetown, Sundays. You may not need to know all the plays to get the fast-paced humour, I am told. The #NoPipe Rally yesterday had a huge turnout, with both people on land and in boats. A whole group of Islanders went over in the ferry, and Premier MacLauchlan released a statement reiterating his concerns. Belfast-Murray River MLA Darlene Compton posted a lot of social media about the rally, and here is the CBC story from Nova Scotia yesterday. Hopefully, as new plans have to be drawn up to change the location, a better solution can be had, and a much stronger environmental assessment. "...Lands and Forestry, it is called, leaving no doubt that the provincial government sees no conceivable purpose for a tree other than its eventual removal for monetary gain...."
New Brunswick is probably going to have an election in September of this year, and the provincial Tories apparently are saying they will lift any moratorium on shale gas exploration, though the governing Liberals have extended the temporary moratorium CBC story. Folks working against shale gas have issued a plea for a permanent ban. "Here's what we should be doing. We've got to get off fossil fuels." Public Meeting Regarding Closures at Kings County Memorial Hospital, 7PM, Cavendish Wellness Centre, Montague. All welcome, organized by MLA Stephen Myers. Film Series: Alanis Obomsawin -- 6 Movies Retrospective, start time 9PM, six nights total. "To mark the release of Alanis Obomsawin’s 50th film, Our People Will Be Healed, L'Ipeenen and the Charlottetown Film Society, in collaboration with the NFB and the city of Charlottetown, have organized a retrospective featuring six of the acclaimed director’s works. Obomsawin has devoted herself to chronicling the lives and concerns of First Nations people throughout a legendary, 50-year-long career. She became a Member of the Order of Canada in 1983 and an Officer of the Order in 2001, and received a Governor General’s Award in Visual and Media Arts in 2008. Her award-winning films have screened at festivals and other venues around the world. Entrance for all of the retrospective films will be free (with donation at the door)." This documentary portrays the 1990 showdown between the Mohawk Nation and the predominantly white Quebec town of Oka, which was intent on developing land deemed sacred by the Native people. The film centres on the Honoré Mercier Bridge blockade of 1990 during the Oka Crisis, focusing in particular on the incident when a group of Mohawk women and children from Kahnawake, in the process of being evacuated from the community due to fears of a Canadian Forces occupation, were violently pelted with rocks as they crossed into Montreal. The filmmaker returns to the village where she was raised to craft a lyrical account of her own people. After decades of tirelessly recording others' stories, she focuses this film on her own. No Pipe Land and Sea Rally, 12noon, Pictou Harbour. "Northern Pulp's proposal to discharge 70-90 million litres of treated pulp waste into the Northumberland Strait daily has drawn broad concern from fishermen, citizens, businesses, municipalities, tourism associations, sport fishing groups and environmental organizations. They all say too much is at stake. <snip> Protest by land and sea for those who are, or who can get over, to Nova Scotia Friday.. Note that news yesterday was that the placement of the pipe has to be re-thought, as it has been determined that the current plan has it by a shipwreck. The first thing you notice is the map, a full colour gloss brochure aimed at attracting doctors to our fair shore. It’s the leave behind the provincial physician recruiter hopes potential doctors will wistfully gaze upon when mulling a career change to PEI. It has all the typical Island attractions: beaches, golf, lobster, even Anne of Green Gables. The headline is Our View Changes Everything. It’s a headline with a double meaning, although the siloed health bureaucracy likely never thought of the second. There is a stylized H to signify hospitals in both Summerside and Charlottetown. Fair enough. Queen Elizabeth Hospital and Prince County Hospital account for 343 of PEI’s acute care beds. But the system is far more than these two institutions. Lost in the gloss are community hospitals in Souris, Montague, Alberton and O’Leary that also provide acute care, extended care and community based services and which only merit a passing reference. There is no marker for rural hospitals, just a passing text reference. It has an ‘Oh, by the way’ feel. If you wanted to create a promotional brochure that exemplifies institutional bias against community health care, you would create the brochure used by Health PEI. It screams real health care is only provided in Summerside and Charlottetown. It misses completely the vital connection provision of health care has to community development and which rural doctors have to the community they serve. Rural communities, which endure chronic shortages of health care professionals, will look at the brochure and see a bureaucracy focussed on urban solutions first. The Kings County Memorial Hospital emergency room is closed almost as often as it is open. Health Minister Robert Mitchell, who had no problem meddling - with questionable legal authority - in the hiring of a new CEO for Health PEI, has initiated a ‘solution’ that will do little to stanch the unpredictability of services in the Montague area. One of the issues he must address is institutional bias within his bureaucracy. Health PEI brags that it considers the needs of the whole family when wooing a potential doctor. This could mean, it says, setting up meetings with the public schools branch, private schools or UPEI and Holland College. But no rural Island high school offers an international baccalaureate program, considered the most advanced education a high school student can receive. It is the type of option a doctor’s family would gravitate toward, yet it is only offered in Charlottetown and Summerside. Government policy and priorities should not be an impediment to growing rural communities. Has the Department of Health ever uttered a word to suggest we need to enhance the education system to improve physician recruitment? The recruitment secretariat is staffed by two recruiters. One is mandated with finding nurses and specialists such as speech pathologists and physiotherapists. The other family medicine doctors and specialists. It is easy to see how recruiting a GP or emergency room specialist to a rural community takes a backseat to filling allotments in Summerside and Charlottetown. Health PEI does offer incentives, such as a $30,000 grant to relocate to a rural community and the ability to earn income through what is referred to as shadow billing, which for instance, is work completed for the Workers Compensation Board. What’s needed is a little competition. There should be a recruiter dedicated solely to rural health care, which would include outreach to community leaders to identify and promote necessary areas of improvement, such as providing equal educational opportunities in urban and rural settings. Right now it is clear there is no champion within the bureaucracy for rural issues. Where’s our Minister of Rural Development? Stand up Pat Murphy. Redefine your department from one created to ease a political crisis, but which lacks the budget and authority to do anything beyond hand out money shifted from other departments, to one that actually stands up for rural communities and if necessary vocally opposes government policy. Recruiting health care physicians is more than just attending job fairs. And health care on PEI is far more than just the primary centres of Charlottetown and Summerside. It’s time to stop paying lip service to rural health care. It’s time to build a new brochure. Charlottetown Farmers' Market open today, 9AM-2PM, Belvedere Avenue. Climate Lab Summer Tour, 6:30-8:30PM, Victoria Schoolhouse, 730 Victoria Road. Presentation by UPEI's Climate Research Lab. Next week there are presentations in Morell and Alberton. Brunch and Talk with Sandra Martin, "A Good Death: Making the Most of Our Final Choices", 11AM-1:30PM, Macphail Homestead, $20 members, $25 non-members. Summer resident and award-winning author Martin will be talking about social change in medicine and the ongoing campaign for death with dignity. “Canada is a pioneer in medical assistance in dying,” says Martin, “but just because we have a law doesn’t mean the struggle for patient autonomy is over. We still have many hurdles to overcome.” Reservations: Macphail Homestead website, call (902) 651-2789,email:macphailhomestead@gmail.com. "This school building still exists and is located within Cabot Park in Malpeque. It is said to be one of the oldest rural schools of PEI still in existence and is perhaps the only one consisting of two storeys. The school building, which is believed to date from about 1830, has a storied past, partly because of its connection to the family of Governor Fanning, and partly because it was one of three grammar schools established on the Island. These schools provided for a higher level of education than other rural schools. Even before their establishment, Malpeque had gained a reputation for its excellence of schooling under the wing of Rev. Dr. John Keir. It is believed that a few of the leading families of Charlottetown sent their sons to Malpeque to be schooled. Also, several of the school’s teachers went on to very distinguished careers of their own, one of these being Sir Andrew Macphail." 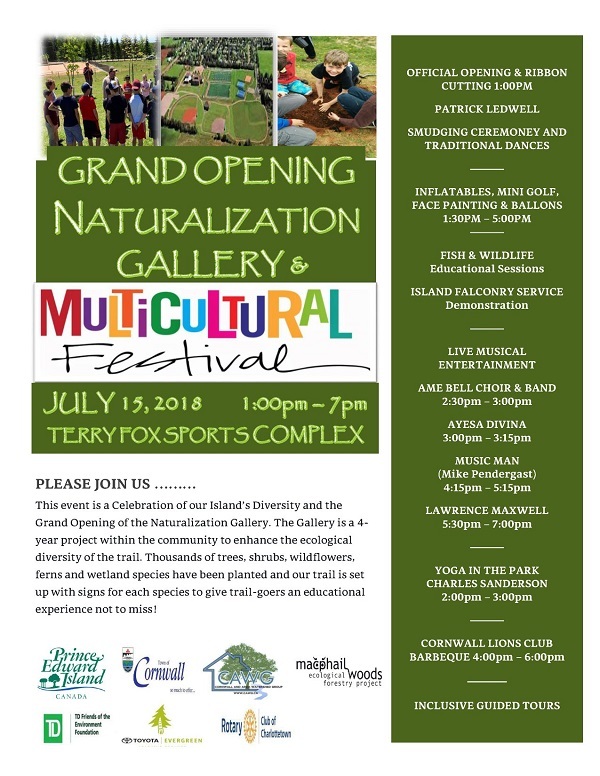 Cornwall: Grand Opening of Naturalization Gallery, a Multi-cultural Celebration, 1-7PM, Terry Fox Complex, behind Eliot River School.from the media release: "The Town of Cornwall is opening the outdoor gallery with a celebration of our Island’s diversity and a ribbon cutting ceremony. The Gallery is a four year project within the community to enhance the ecological diversity of the trail.<snip> This event will feature live entertainment, bouncy castles, sporting activities, guided tours of the trail, food, and more." Climate Lab Summer Tour, 6:30-8:30PM, Kings Playhouse, 65 Grafton Street, Georgetown. Climate Lab Summer Tour, 6:30-8:30PM, Victoria Schoolhouse, 730 Victoria Road. Presentations by UPEI's Climate Research Lab about understanding and being aware of impacts of climate change. From the first international environmental conference in Stockholm in 1972 through many more such gatherings up to the Paris agreement of 2016, grand declarations of intent to reverse global warming and general environmental destruction have been made by the nations of the world, with little apparent effect. Warming and destruction largely continue. The argument is that, like the idea of human rights that began with large proclamations that eventually became guiding societal principles, the notion of the legal human right to a clean environment will gradually make its way through society. The elaboration, advancement and even practical effect of this idea has an interesting Nova Scotia connection. Back in 2010, author (18 books), educator (founding dean of the community studies program at Cape Breton University), filmmaker and sometimes journalist Silver Donald Cameron fell on the idea of recording phone interviews with the world’s leading minds on environmental sustainability, and hopefully finding an online audience. He went to rent a studio at Mount Saint Vincent University, and there met Chris Beckett, head of the audiovisual department, who convinced him to go video, and the two hit the road. Now there’s a bank of some 100 interviews from 15 countries and growing by one a month. Spread mostly by online education databases in the U.S. and Canada (called The Green Interview, it’s also available on its own website), it looks like a hit. Just recently, says Cameron, some 235 institutions, mostly universities including the biggest names — Yale, Harvard, the University of London etc. — are listed as having used the material. Other groups and institutions are on board as well. The Royal Botanic Garden Edinburgh is an interesting one. It’s also available in 400 public libraries in North America. But that was just the start. Narrowing these interviews to the ones with lawyers who have led titanic environmental battles — the main ones being in Latin America and southeast Asia — a film called Green Rights followed, telling their story and pointing the way for local environmental resistance by legal means, and which is apparently much used by local environmental groups, along with a book entitled Warrior Lawyers. For Cameron — still under full steam at age 80 — the cap on all this is yet to come: it’s a course on green rights and their legal basis to start at Cape Breton University in January. It’ll be a combination classroom/ online course, with Cameron teaching one subject and a professor at the University of British Columbia law school, which will also have the course, teaching another online. The course will be partly online and free to everybody (a technique increasingly used by universities, reaching huge audiences), but paying students looking for a course credit must attend the classroom portion (go to openonlinelearning.cbu.ca, then click “online”). As for the warrior lawyers, huge battles are ongoing — with the Stockholm declaration as the starting point. One notable flashpoint is Latin America, where the push is on to clean up world-scale messes, some of the worst being the result of rapacious Western companies, and to protect forests and so on. Last year, some 200,000 people got killed in the world defending the environment — often Aboriginal people trying to protect their land against predatory logging and mining interests — but lawyers and even judges hearing cases are sometimes killed. Last year, Caribbean and Latin American countries, where more than half these deaths occurred (Honduras is the worst), signed a pact vowing to protect environmental resisters. But the most notable environmental lawyer of all is one Antonio (“Tony”) Oposa from the Philippines. In 1990, he went for a walk in the woods and the woods were gone. (I know the feeling. I’ve had it a half dozen times in Nova Scotia.) To his horror, he found that only four percent of the original Filipino forest was still standing, and that was slated for destruction. He sued, but not in the conventional way. He sued on behalf of 43 children, including his own, and “all children yet unborn.” One of his associates was killed and for a time he had a million-peso price on his head. Ultimately, remarkably, he won. In international legal circles, this is now known as the “Oposa Doctrine” — the idea that we have a legal environmental responsibility to future generations. May this spirit get here fast, where we continue to implicitly proclaim that our national priority is environmental destruction. The traditional homemade "mush cake" (oatmeal spice) for the celebration. Fanfare of "O Canada" by local MLA Peter Bevan-Baker after the "boot toss" but before the cake. Canada Day celebrations were big and small and all centred around some type of community. Hope all had a good time and can enjoy some time today. Anne of Green Gables: A Film by George Nicholls Jr., 1934 film, 9:10PM, City Cinema, (90 minutes). Earliest version with sound known. Facebook event details. "Researchers from UPEI’s Climate Research Lab are continuing their tour of Prince Edward Island communities to discuss sea-level rise. The team will hold public presentations in Georgetown, Victoria, Alberton, and Morell. All are welcome. The presentations will help increase our understanding and awareness of the impacts of sea-level rise, coastal erosion, and storm surges, and discuss tools for adaptation and coastal planning. There will be an opportunity to ask questions and discuss what sea-level rise means for Islanders." Stops in Alberton and Morell next week. German politicians have approved a law that bans fracking, ending years of dispute over the controversial technology to release oil and gas locked deep underground. The law does not outlaw conventional drilling for oil and gas, leaving it to state governments to decide on individual cases. But fracking, or hydraulic fracturing, which blasts a mixture of water, sand and chemicals underground to release shale oil and gas, will be banned. Only a handful of projects for scientific or non-commercial purposes are likely to meet the conditions. Fracking has been largely unregulated in Germany until now, and the current coalition government under Angela Merkel has been working for months to draw up new rules. The coalition put forward a draft law on the issue in April 2015, but the text was mothballed due to strong divisions over the subject. Stratford Lions Club breakfast, 8-10AM, at the Town Hall. Canada 151 Celebrations, 1:30PM, Tea Hil Park. Leader of the Opposition James Aylward will be at these. Boat Parade, 6PM, and fireworks at 10AM. Rustico-Emerald MLA Brad Trivers and his band "Party Mix" will be on a float in the morning parade, and singing "O Canada" to open the ceremonies at 11:45. Young Company summer performance opening, 12noon-1PM, Confederation Centre outside amphitheatre (if raining, Memorial Hall). (The CBC article linked below says 1PM, but that is wrong, as they usually play at noon each day (not Sundays unless Canada Day and not tomorrow, though) until August 18th. 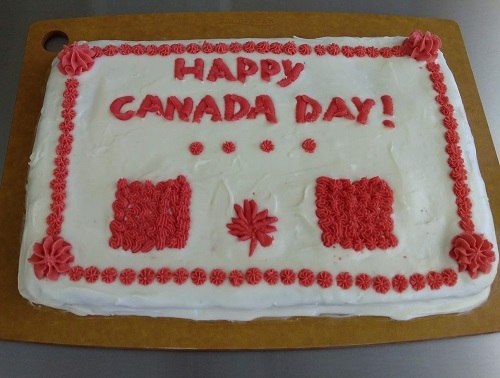 Tryon-Area, 12PM-2:30PM, South Shore United Church, Merry Pop-Ins Childcare is celebrating Canada Day at their new location, 85 Rooute 10, in Tryon. BBQ, flag-raising, cake and face-painting. Bonshaw Canada Day Celebrations, 2-3:30PM, including the annual "Boot Toss" competition, cake and other refreshments; MLA Peter Bevan-Baker will be at various District events, trusty trumpet for "O Canada" at the ready. (Sun)hats off to many Women's Institutes and other organizations that plan these events, and to local MLAs who spend their holiday with their constituents. Be sure to talk to them about your concerns -- especially on Canada Day, they need to hear how they can best represent us. CBC has an article online about some activities you can take in. Discover Charlottetown lists many events across the Island for today, very nice of them. Apologies for no issue of the Citizens' Alliance News, as I was occupied with some early morning homestead happenings. All good. Here is a posting from Peter Rukavina about his recent peek inside Province House, part way through its multi-year and costly renovation/restoration, with many fantastic photos. There will also be a trailer with a virtual reality tour of Province House, created by engineering students at UPEI in the past year. The NFU has not said that corporations and individuals are breaking the letter of the law set out in the Lands Protection Act. We are saying that there is an alarming ignorance on the part of policy makers and other Island residents about the spirit of the Act. In 1982, then-Premier Angus MacLean made it clear that the spirit/intent of the act was to keep farm land in the control of Island farm families and to keep all lands in control of Islanders. Control of the land was Premier MacLean’s over-arching theme. Part of this was that individuals and corporations must be prohibited from amassing large land holding. The Act also put tight restrictions on non-resident purchases of land. There was no intention to discourage new people from becoming resident owners. It was meant to prevent absentee control of the land. Our consultations with influential people, associates of Premier MacLean, tell the NFU that limiting land holding in the Act was an instrument of keeping Island land in specific Island hands. The restriction to 1,000 acres for individuals would prevent excessive concentration. It meant that more people, rather than fewer, would actually control the land. The 3,000-acre limit for corporations, in the vision of Premier MacLean, was meant as a business convenience for farm families. The intent was that three members of a family group, e.g. a parent and two adult children could form a corporation. In this way, the original spirit of the Lands Protection Act was to keep farm land at the service of family farming model. It was never intended that the corporation limit would be manipulated to serve the interests of industrial agriculture. In fact, a five-acre limit was placed on industrial corporations (including processors). So, to accept the spirit of the Lands Protection Act, in fact, requires accepting the original goals of keeping farm land in family farming. What a desecration to see the corporation allowance being manipulated for massive takeovers of farm land. Contrary to the spirit of the Act, the goal of this current takeover is to enlarge the profits of the powerful corporations, and to firmly establish the industrial farming model as the predominant agricultural structure. Some people, including policy makers, seem to be easily confused about what a family farm is. The NFU has heard members of large corporations, controlling immense tracts of land in P.E.I., saying, “we are a family involved in farming, so we are a ‘family farm." That does not make their operation a family farm. When we speak of family farms, we are not talking of industrial corporations with huge land spreads. goal of industrial farming is to amass profit for the corporation, to increase its capital holdings. The family farm on the other hand is a unit of food production where the major production decisions are made by the farm family. The farm is small enough ideally to make production decisions and to allow it to be worked mainly by the family, of course with outside labour for the busy seasons. Central concerns are making a living for the farm family and caring for the land, air and water. With new awareness in the community about land, and about the Lands Protection Act, the NFU urges Islanders to speak out. Those in power interpret silence as consent. The NFU wants to hear loud protests about the weakening of the Act and the failure of governments to protect our land for current and future generations.